Approximate Dimensions: Exterior -11" L X 7" W X 8.5" H. Interior - 9" L X 6" W X 8" H. Handle - 3.75" drop. Shoulder Strap - 21" drop. 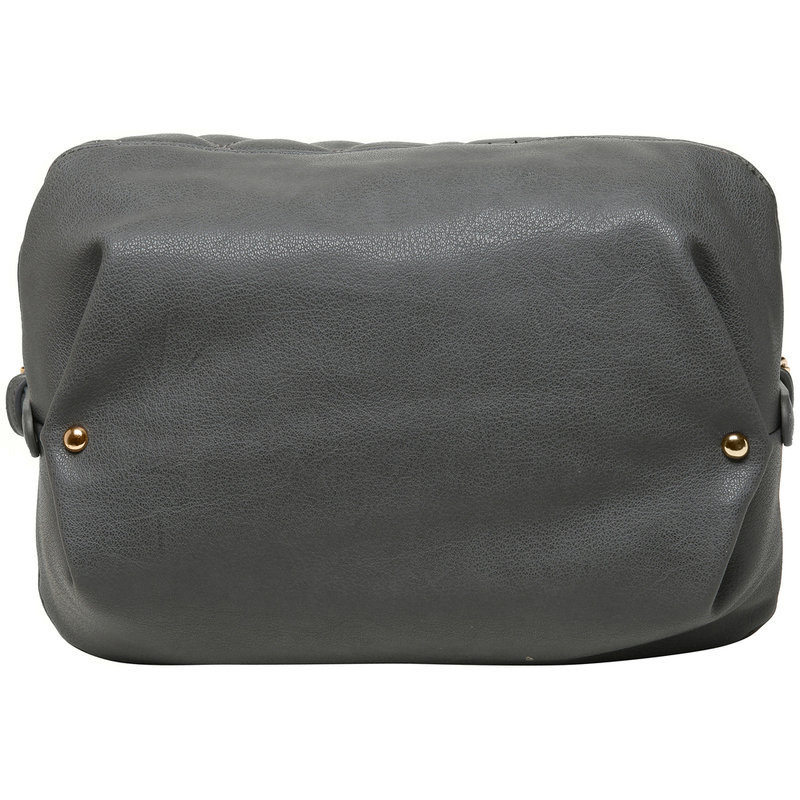 Inspired by the most trendy concept of mixed-texture handbags, this newest bowler bag is a must have for any closet. With a checkered pattern on the front and solid pattern on the back, this dual textured leatherette tote bag will add some fun flair to your style. Inside the zippered closure lies a soft fabric interior with 2 open pockets and 1 zippered pocket, perfect for storing your wallet, cell phone and keys. An adjustable strap is also provided for added flexibility. Be ready to be envied with this sassy bowler, available in 4 classic colors!